The Parrotopia Safari bird toy features a small mini log threaded with leather strips, which are attached to bright wooden animal shapes. 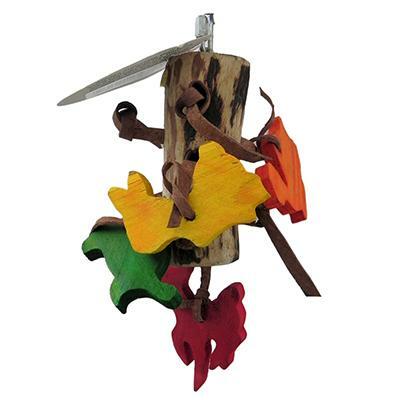 Great for small to medium sized birds. Toy measures about 5 x 4-inches. Because Parrotopia Toys are made from natural materials. Their size, shape, and colors will vary slightly from toy to toy.